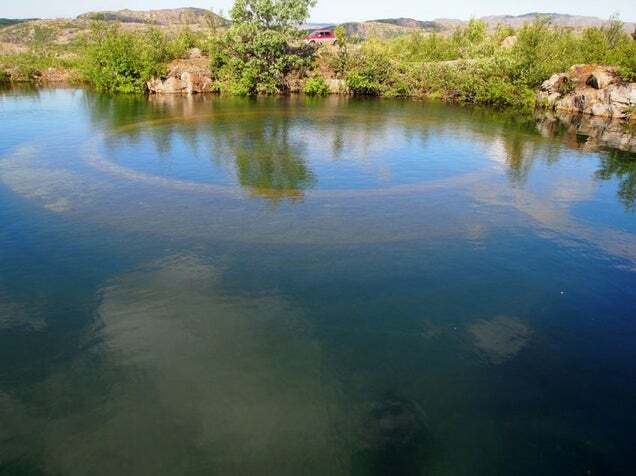 What Are These Giant Concrete Rings Built By The Nazis? Share the post "What Are These Giant Concrete Rings Built By The Nazis?" 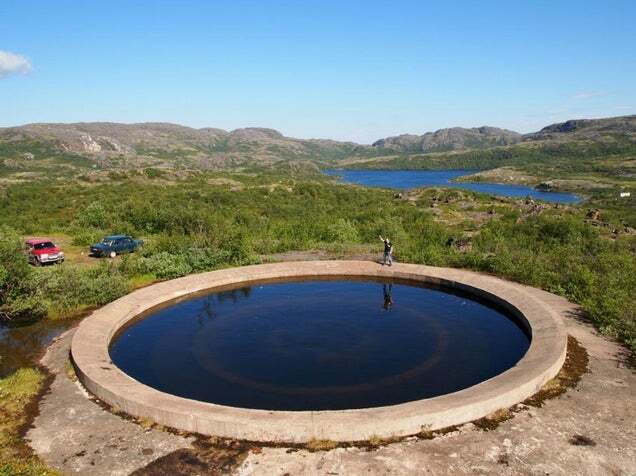 These huge concrete rings were built by the Germans during World War II on the coast of the Barents Sea. For decades, the Soviet military limited access to them after the war was over, fueling speculation about their purpose. Conspiracy theorists and local folk claimed they were test grounds for Nazi wonderweapons and antigravity devices. 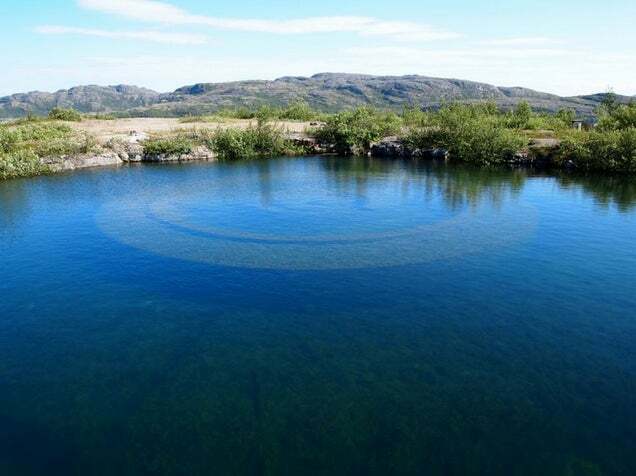 These rings, some said, served as launching pads for Nazi UFOs—flying saucers that used antigravity devices that were later captured by the United States and the Soviet Union. Of course, these aircraft were never used again except to spook the conspiranoics and break their cameras. No images of these fabled wunderwaffe exist and—given the fact that Nazis documented all their technology experiments with photos and movies (didn’t you see Raiders of the Lost Ark? )—it is logical to assume that these UFOs have the power of destroying any cameras around them. Die Glocke—as it was codenamed by the Nazis—was a hard metal object about 12 to 15 feet tall and nine feet in diameter. Described by a Polish journalist and self-proclaimed military historian based on the alleged testimony of that SS general, the Bell held two counter-rotating 1-inch-thick lead cylinders inside. The cylinders contained a liquid metal called Xerum 525. It looked like mercury but glowed purple while the machine was powered up using high amounts of electricity. Once activated, nobody really actually explains what it did, except killing people and animals around it, disintegrating them. Some even say it was designed to look into the past, bending gravity and time—but not into the future. Of course, the only thing that actually bend reality are the neurons of all these conspiranoics. These are not launching pads for UFOs. 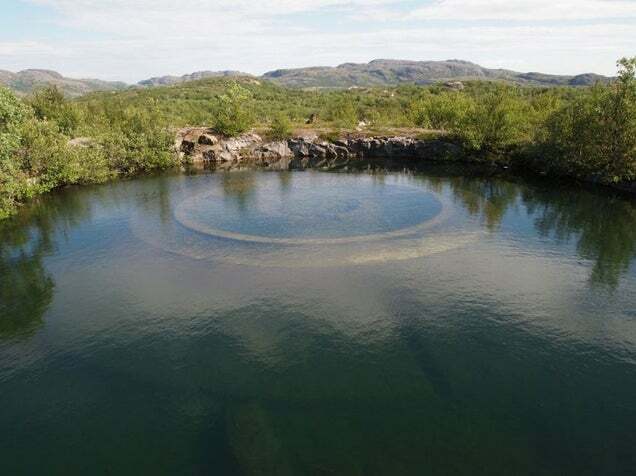 The concrete rings are located near the village of Liinakhamari—in the region of Murmansk Oblast, Russia, next to Finland—and were used as fortifications for artillery pieces. Soviet marines invaded the area and took over these positions on October 12, 1944. The harbor became a base for the Red Fleet and a base for submarines was built nearby—which explains the prohibited nature of the site for decades, until the base was dismantled. 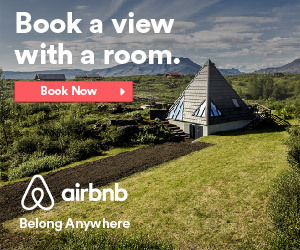 Sorry, no UFOs to see here, folks. Just old concrete bases for rotating artillery pieces. « What Your Preferred Beer Says About You As A Person	» 27 Secrets About Girls That Guys Probably Don’t Know About. #3 Will Surprise You!